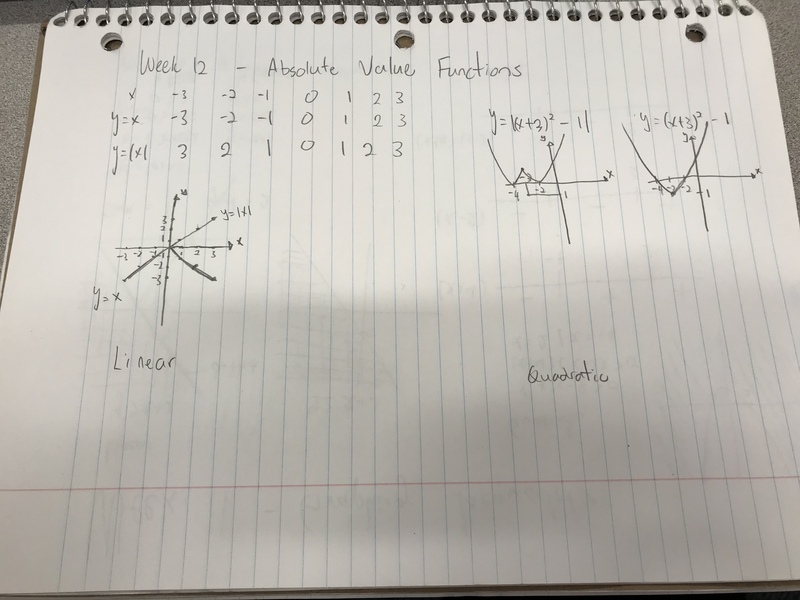 Finding infinite geometric series values – The most interesting topic that I have learned so far doing math! This shows us the formula to finding the sum of endless series of numbers. It is just mind-blowing how humanity came up with a formula that helps us to find the sum of infinite series of numbers. I just can’t wait to do Pre-Calc 12 and Calc 12, which would have even interesting, and expanded formulas than those in Pre-Calc 11. 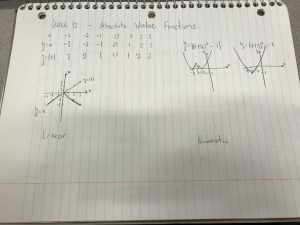 Analyzing Quadratics – This is a topic where we have to find vertex, the domain, the range, and visualize what the whole graph’s going to turn out to be by solving quadratics. I find this very useful and realized that this will be helpful when improving visualizing skills. Solving Quadratics – This topic expands the factoring skill that we learned during Grade 10, and it is the most useful skills that helped me throughout the semester. Learning how to factor helped me solve problems faster, and easier. 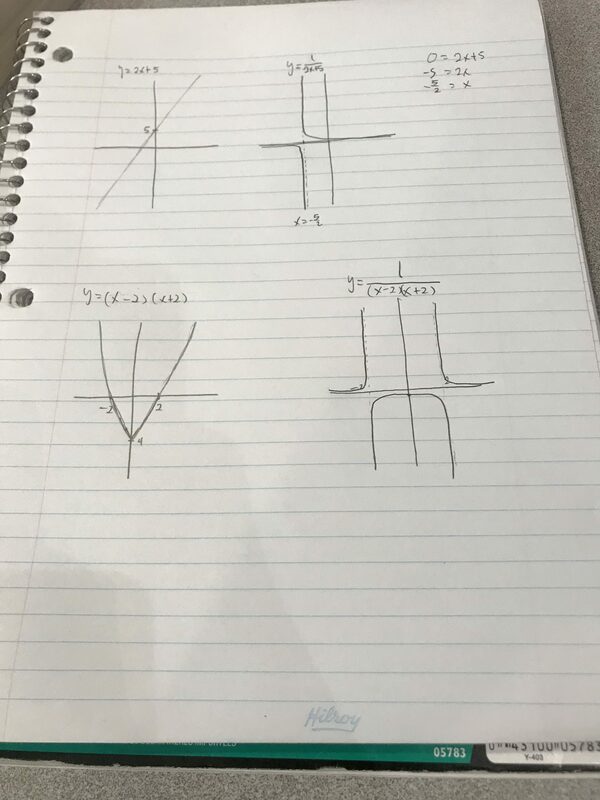 It not only helped me in Pre-Calc 11 class but in my Physics class. It also helped me think better and choose wisely as in this topic, there is not only one but many forms of factoring formulas. Solving rational equations – Calculation errors always have been a thing to me whenever it comes to test days. However, this topic taught me again to be careful with subtractions and additions. By far the most complicated topic and only topic that made me anxious on test days due to a possibility of calculation errors. 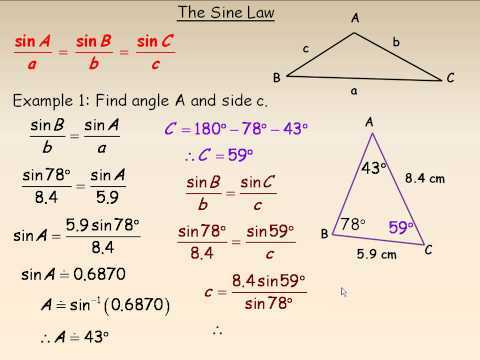 Sine and Cosine law – This topic was new to me and never thought that I would encounter a topic where we dealt with non-right triangles. 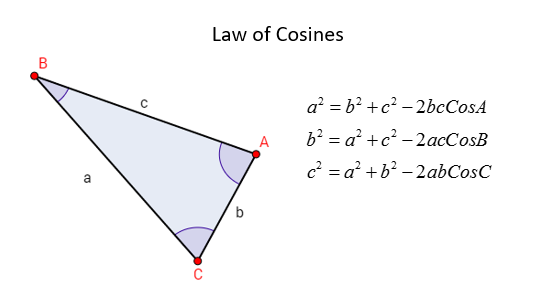 Dealing with angles, and dimensionally can always be useful in life, and in the future where one dreams of going into space engineering. “Death of a Salesman” is a tragic play written by Arthur Miller based on 1950s America. Willy Loman, a salesman who is married to Linda and has two sons, Biff, and Happy, returns home from a failed sales trip most of the nights. He always believed in American dream where people gets success from their hard work. However, in spite of working hard day and night, he has to borrow money from Charlie, his neighbor, for insurance, fridge, house mortgage, and car. He believes he could be successful just like Ben but never turned out to be one and decides to commit suicide for the insurance money, which is a lot more than what he brings home. He sees this as a chance for his family to be rich and prosperous again. He is a symbol of a depression, lost, and miserable man. He even cheats on his wife, who cares about him the most. He does not notice that he has a developing Alzheimer. All of Willy Loman’s behaviors, the flow of the play shows this as a tragedy. 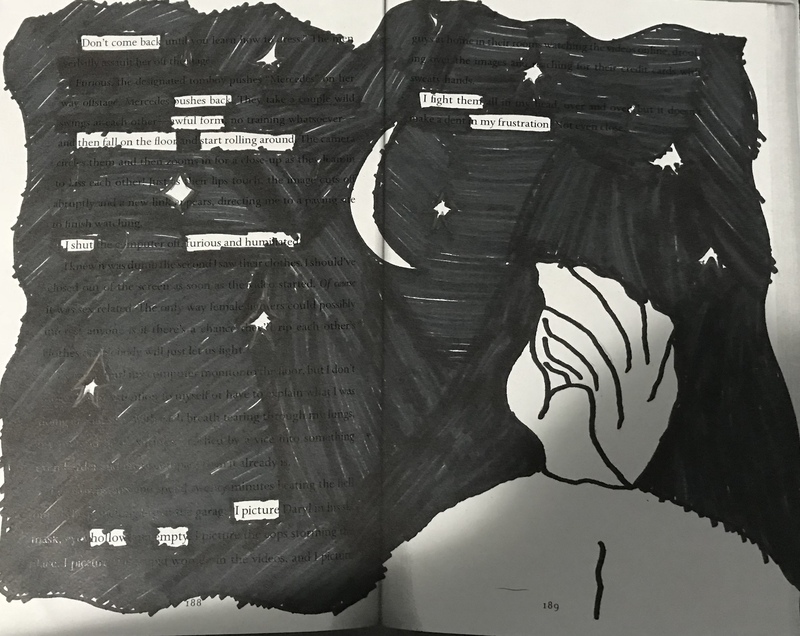 My blackout poem describes how Willy Loman tries to be successful but always gets pushed back, and falls to the bottom, which gets repeated. His lacking of money, him getting no respect from others, and getting humiliated from Howard, frustrates him, which also leaves him empty when returning home. My illustration shows Willy Loman looking up the night sky, looking at the stars, hoping that someday his perseverance leads him to reach those stars. This week, we have learned about solving rational equations. First of all the most important part when solving multiple rational equations is to see whether the denominator’s the same. For example, lets look at this equation. We can see that to make the equation the same on both sides, (x+6) was multiplied on the left side and (x+3) was multiplied on the right side. Then, to make sure we have one equation, 8x+24 was moved to the left side and we could see that there is a common of Xs’. We’ve calculated 6x-8x (-8x is when 8x was moved to the left) and got the result as shown above. Constructive Interferance occurs when waves come together so that they are in the same point with each other. This means that their movement at a given point are in the same direction, due to the result of the amplitude at that point being much larger than the amplitude of an individual wave. As the waves meet, the amplitude between wave to the crest becomes much larger. For two waves of equal amplitude interfering together, the resulting amplitude is twice as large as the amplitude of an individual wave. After the collision, the wave came back to the original point. In conclusion, due to the constructive interferance, we were able to find a significant increase in amplitude. When two waves interfere together, they have the same amplitude in opposite directions, But then, there are more than two waves interfering. The situation gets a little more complicated. When the two waves meet in this following example, the collide and go apart as crests and troughs. When the two amplitude have opposite signs, they will also form a wave with a lower amplitude. The following diagram shows two pulses interfering destructively. Again, they move away from the point where they combine as if they never met each other. When we try to listen to music on an airplane, problem might occur. Headphones that block out the noise and let you enjoy to your music are called noise cancelling headphones. The shape of the headphones and the material they are made of can physically block certain sound waves from reaching your ears. As we learned in this lesson, if the soundwave is 180 degrees, it means that the wavelenght is zero, which result in silence. This week, we learned about rationalizing expressions and equations; linear or quadratic. We learned that denominator can’t be 0 and because of that there is restrictions, which is also called non-permissible values. We know that x can’t be either 0 or 5 and when we factor both sides, we can see that there is a common of x-5. So, it gets canceled. This chapter needs alot of practice with factoring. Every number has a reciprocal except 0. The reciprocal is shown as 1/x. 1 and -1 has the same reciprocal as the original. Reciprocal is an inverse of natural number. Absolute Value is a magnitude of real number without regarding to its signs. The absolute value has the form of y = |f(x)|, where f(x) is a function. The x-intercept of the graph of y = f(x) is a critical point also known as point of reflection. So when there is an absolute value symbol, the line always reflects. As long as we know the concept of an Absolute Value, it is easy to solve problem solving questions.